Jean-Eric Vergne put an end to his current drought of points in the ABB FIA Formula E Championship on the all-electric single seater series’ return to China, delivering Acronis technical partner DS TECHEETAH with a stunning victory on home turf at the inaugural Sanya E-Prix. While Vergne started second on the grid, it was Nissan e.dams’ Oliver Rowland who secured a maiden pole position in qualifying, and with the field lining up on the grid for the race start, it was ultimately the British rookie who had the better getaway on the front row to lead into the first corner of the race – the tight right-hander of Turn 10. With Rowland getting the jump when the five red lights went out, it was Vergne’s responsibility to hold onto second place in order to stay in contention – something that the reigning Formula E champion did successfully, holding off Antonio Felix da Costa on the opening tour of the circuit to stay in touch with the rookie leader. Cars lined up on the grid for the start during the 2019 Sanya E-prix in China. © Andrew Ferraro / LAT Images. Before Vergne could close in on Rowland, or before Rowland could attempt to open up a gap, the race was quickly neutralised, with a Full Course Yellow being deployed when Felipe Nasr came to a brief stand-still while Sam Bird’s Audi-powered Envision Virgin car ground to a miserable halt as a result of damage sustained on lap 1. 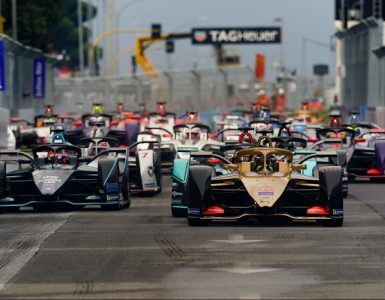 No sooner had the racing paused, the E-Prix was underway once more and out in front, Rowland was struggling for pace, with the British driver failing to open up a lead over Vergne who continued to follow in second. Looking to the left and right of Rowland, Vergne continued to weigh up the possibility of an overtake, committing to such an attack with 21 minutes + 1 lap of racing remaining, darting past the Nissan e.dams driver in Turn 11 to not only take the lead but open up a small gap at the front of the pack, arming and deploying Attack Mode to get a 25kW boost in power to soar off into the distance. The waving of a red flag after 33 minutes of running placed Vergne under a brief amount of pressure, with the field of cars returning to the pit lane as a result of an accident for BMW i Andretti Motorsport’s Alexander Sims, with the Briton crashing on the exit of Turn 5 and coming to a halt on the run to Turn 8 after being overtaken by Andre Lotterer in the second DS TECHEETAH car. 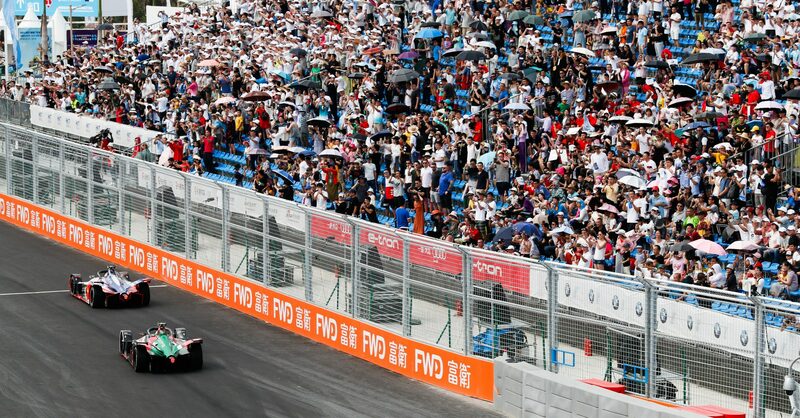 Racing resumed under safety car conditions with a regrouped field, and after one lap under controlled circumstances, Vergne led the pack to green in what would be a 12-minute sprint to the chequered flag. While Rowland, who continued to lap in second place, closed in on Vergne, ultimately, he was no match for the reigning champion after being placed under strict instruction to bank second place as opposed to risking 18 points by going wheel-to-wheel with Vergne – a proven defensive driver and veteran of Formula E.
2019 Sanya E-prix in Sanya Street Circuit, China. © Sam Bloxham / LAT Images. 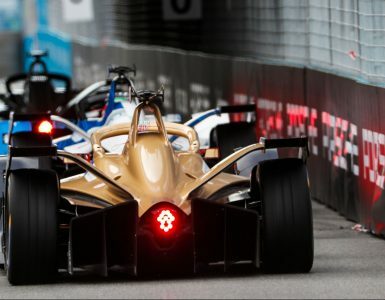 Taking the chequered flag, Vergne secured DS TECHEETAH’s first win of Formula E’s new generation of racing, overcoming mounting pressure during his Season Five campaign. Rowland followed Vergne to the chequered flag in second while da Costa took third for BMW. By winning in Sanya, Vergne has jumped into contention for the Drivers’ Championship, moving from 11th at the start of the weekend to third, only eight points adrift of the lead that is now held by BMW’s da Costa with six rounds and seven races remaining of this season. 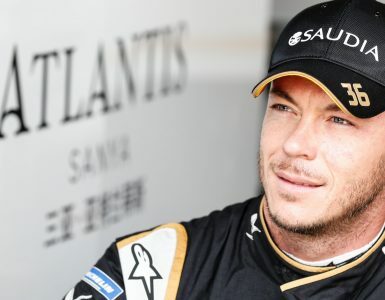 While Vergne stood on the top step of the podium, it was also an impressive race for Lotterer, with the German driver taking fourth at the chequered flag to supplement his team-mate’s haul of 26 points with an additional 12, meaning that DS TECHEETAH leave Sanya as the highest points scorers of the weekend, jumping to third in the Teams’ Championship, with only four points covering the top four teams. 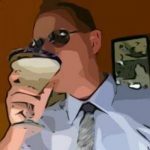 Following Lotterer across the finishing line was Daniel Abt who was fifth for Audi while Sebastien Buemi was sixth, Jerome d’Ambrosio was seventh, Pascal Wehrlein eighth, Mitch Evans ninth and Edoardo Mortara in 10th, rounding out the points-paying positions. 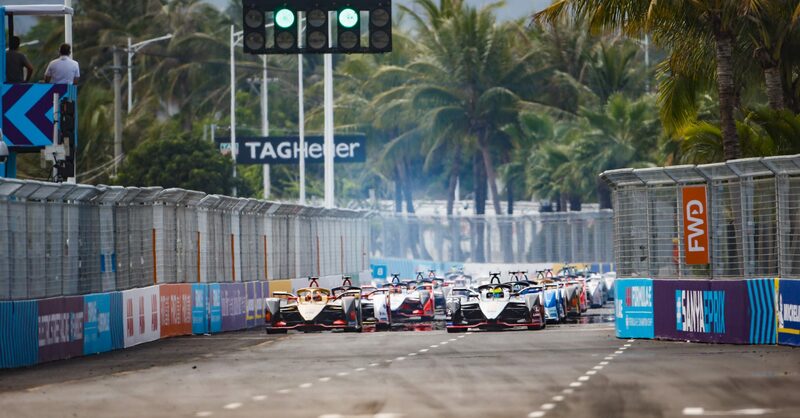 With the Sanya E-Prix on the southern end of Hainan Island marking the end of the Asian leg of the 2018/19 calendar, the ABB FIA Formula E Championship next heads to Rome to kick-start the second half of the present campaign with the first of five European races. 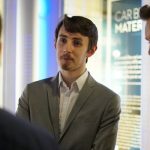 Formula E Editor at MotorsportWeek and MotorsportMonday.